​​Your membership to Predictology opens up a whole world of football betting options and opportunities. We have tried to make the platform as simple and as user friendly as possible. That said, there are many tools and features available to you at a click of a button and we acknowledge that no matter how easy something is to use - the first time you experience something new it can look scary, complicated and take a while to get used to. ​This is why we have put together this quick start guide to help you get comfortable with Predictology as quickly as possible. ​We also understand and expect that every member of Predictology will, most likely, end up using the platform and tools differently to suit their own tastes and needs. For example, not everyone is going to want or have the time to use the core System Builder extensively and may simply want easy access to systems and strategies that can quickly follow along with. 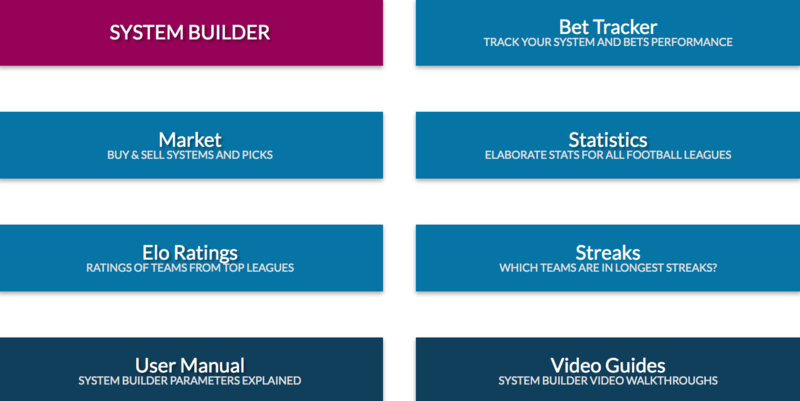 Others, like me, love developing their own strategies and testing theories and will spend the bulk of their time on the system builder. For simplicity, we have focused this quick start guide for those that Do and Do NOT intend to use the System Builder extensively. If you fall into neither category or are somewhere in the middle, hopefully this guide will still be useful for you and you can cherry pick the most important parts of each to suit your needs. Remember - if at any time you have a question or get stuck just click the chat icon at the bottom right of any page that you are on, and myself and the team will be happy to help you. Your membership to Predictology opens up a whole world of football betting options and opportunities. This is why we have put together this quick start guide to help you get comfortable with Predictology as quickly as possible. We also understand and expect that every member of Predictology will, most likely, end up using the platform and tools differently to suit their own tastes and needs. For example, not everyone is going to want or have the time to use the core System Builder extensively and may simply want easy access to systems and strategies that can quickly follow along with. Others, like me, love developing their own strategies and testing theories and will spend the bulk of their time on the system builder. For all members, this is the most important page and where you will spend the most of your time (if not building systems). ​We hope that you found this quick start guide and checklist useful. If you have any additional questions or have feedback on how we can improve this for future members, send us a message at the bottom right of the page.